Use search tab to view the search details for a particular SKU. By default, sales that gets displayed is for last 30 days. 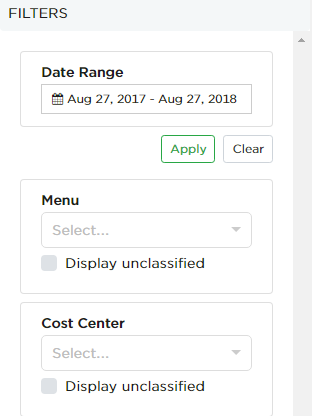 You can change the date range using filters. In the above example, you can see the sales record for Baileys Large that happened in July month. Total sales and its respective total value is displayed. By this you will know the amount gained by each SKUs. By this you can also know the profits and margins of all the sold items. 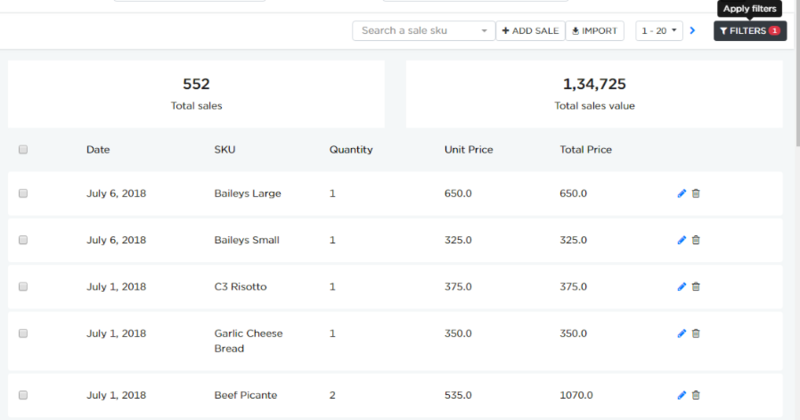 Filters button is used to filter the listed sales based on applicable categories. Categorization and tagging of sales should be done to use this functionality. Select the categories from the dropdown and click Apply button to see the sales that fall under the selected category. 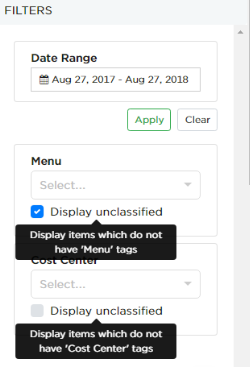 Click Display unclassified checkbox and click Apply button to check the non-categorized sales.